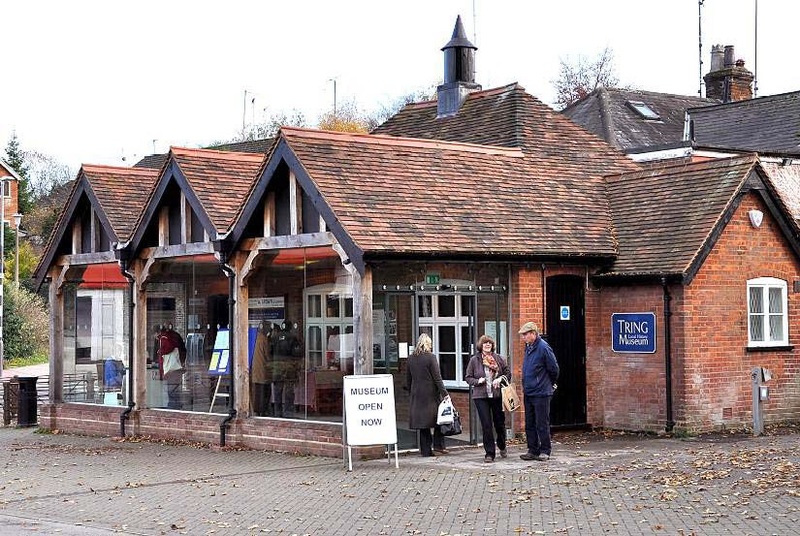 After years of planning and hard work, Tring Local History Museum opened to the public at the end of September 2010. The joint project between Tring & District Local History & Museum Society and Tring Town Council was made possible by a Heritage Lottery Fund grant, topped up by local fundraising. Designed by Ian Haswell around a concept by Sally Ackroyd, the content was painstakingly researched and put together by society members. The last few frantic weeks were co-ordinated by Libby Finney, helped by DHT’s curator Isobel Aptaker. The opening was deliberately low-key but a formal event is being planned. The museum, in Brook Street, occupies the building from which surveyors W. Brown & Co. and successors conducted their livestock market for over a century. The site is home to Tring’s weekly charter market and fortnightly Farmers’ Market. It is convenient for car parks, bus stops and cafes, with the Auction Rooms next door. 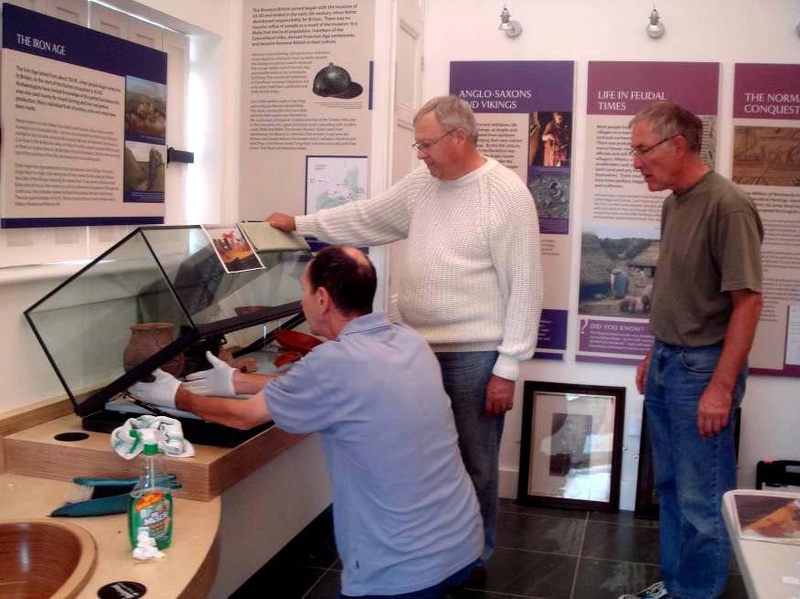 Visitors enter a glazed outer gallery and continue into a display area laid out in chronological sequence, telling the story of Tring and surrounding villages down the years. Objects in cases, ranging from fossils and archaeology to costume and medals, are accompanied by text panels, colour-co-ordinated with a time-line. Victorian photographs are displayed on a screen. Younger visitors can dig for buried objects; try on replica costumes and complete jigsaws. The museum will continue to develop, seeking local material from other museums and showing temporary and themed displays, once we have our breath back.